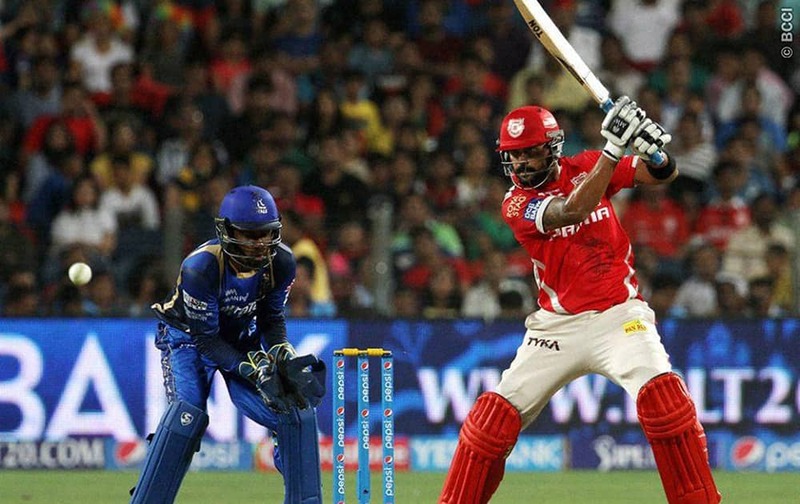 Kings XI Punjab player Murali Vijay plays a shot during the IPL 2015 match against Rajasthan Royals in Pune. 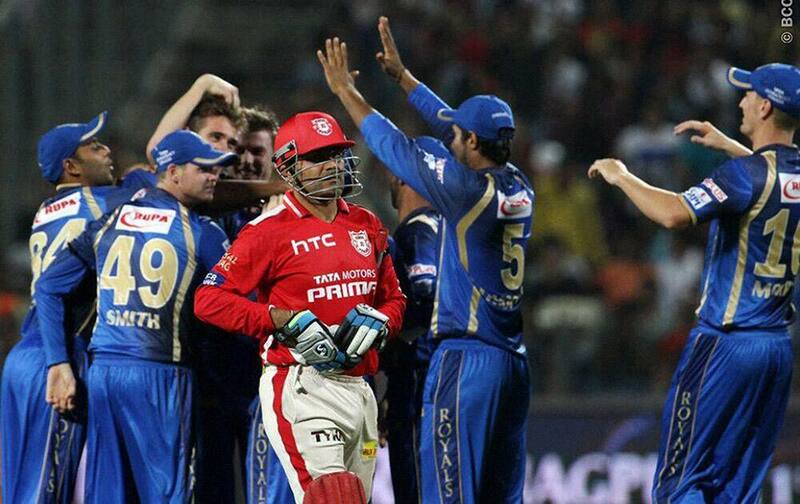 Kings XI Punjab player Virender Sehwag walks back to the pavilion during the IPL 2015 aganist Rajasthan Royals in Pune. Preity Zinta owner of Kings XI Punjab during the IPL match in Pune. 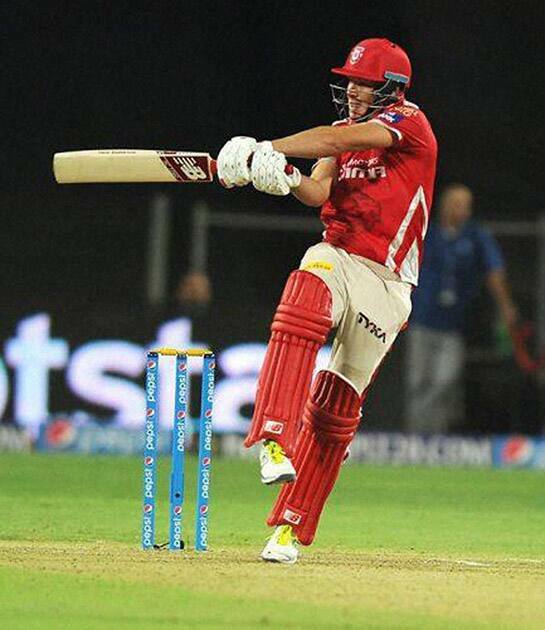 Kings XI Punjab player David Miller plays a shot during the IPL 2015 match against Rajasthan Royals in Pune. 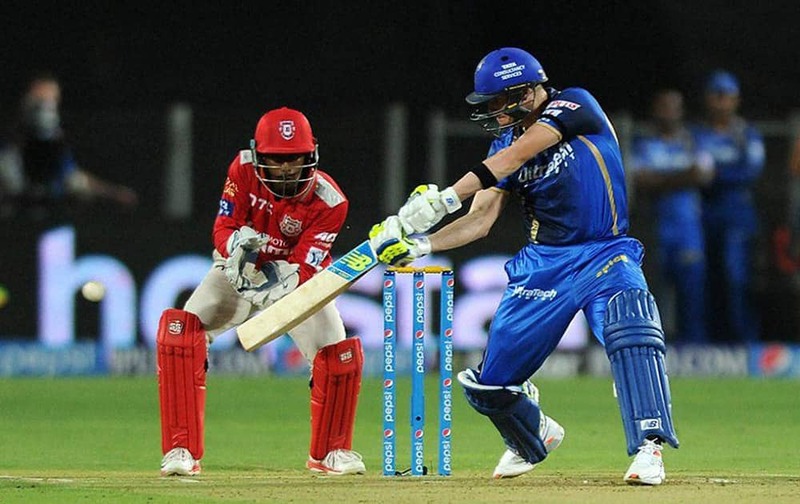 Steven Smith of Rajasthan Royals plays a shot against Kings XI Punjab during an IPL match in Pune. 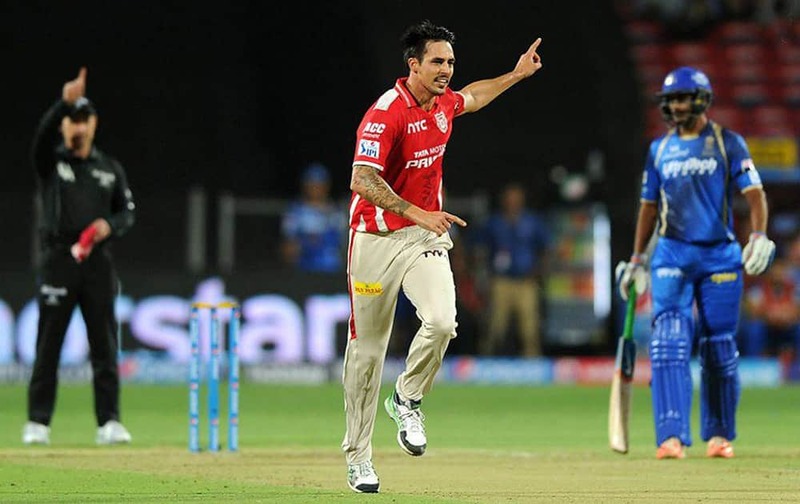 Mitchell Johnson of Kings XI Punjab appeals successfully for the wicket of Stuart Binny of Rajasthan Royals during an IPL match in Pune. 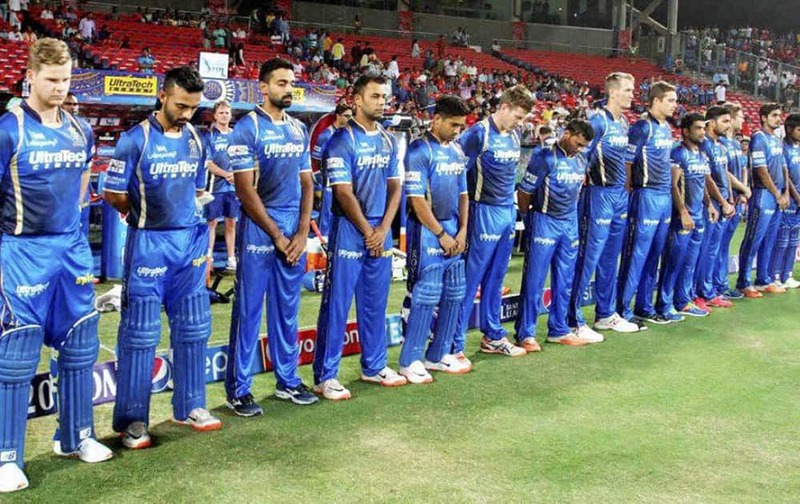 Rajasthan Royals players stand for a minute silence as they pay tribute to commentator Richie Benaud before the start of their IPL match against Kings XI Punjab in Pune.